Base equipment side-slicer knives are good all-purpose knives. They provide aggressive cutting action in tough conditions. Knives are made of heat-treated alloy steel for durability. Individual knife weight, along with the centrifugal force created, provides an aggressive cutting action. 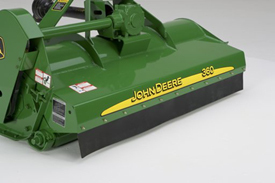 Edges are ground to provide a sharp cutting surface and reduced horsepower requirements. Smooth-cut knives utilize the same mountings as the side-slicer knives. These optional knives are good for grassy, weedy conditions and are self-cleaning. Knives can also be resharpened for added wear life. Hood is made of 0.48-cm (0.188-in.) thick steel to resist denting and wear. End plates are made of 0.64-cm (0.250-in.) thick steel to provide structural support and resistance to side thrusts. 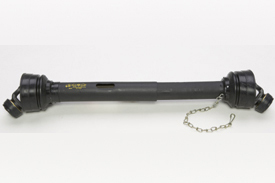 Full-length torque tube helps prevent twisting when operating on uneven ground. 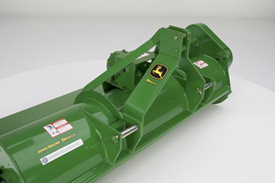 All John Deere flail mowers feature this rugged, heavy-duty gearbox with a continuous 65-hp rating and an intermittent 90-hp rating. Another feature included is a five-year, unlimited-hour warranty. All machines have a Category 2/1 3-point hitch. Bushings or reversible pins are included for Category 2/1 compatibility. 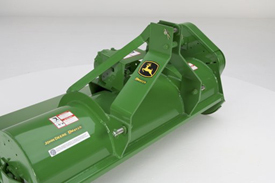 360 Mower is compatible with quick-coupler Category 1 only. 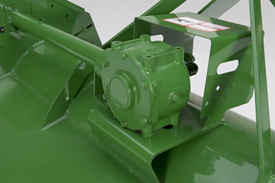 370 and 390 Mowers are compatible with quick-coupler Category 1 and 2. 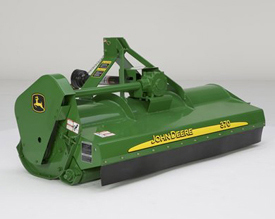 The 390 Mower with a 30.5-cm or 66-cm (12-in. or 26-in.) 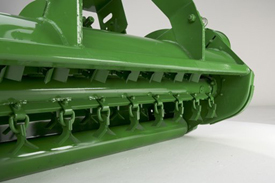 hitch offset to the right is ideal for trimming along walls, buildings, trees with low-lying branches, fences, or orchards. 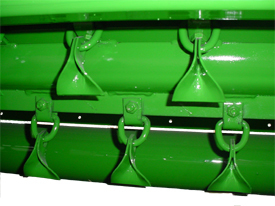 A full-length rubber deflector is available as an attachment. It directs dirt, dust, and objects downward for safer operation.